We have seen over the past few decades a move away from Christian values in this country that we once regarded as a Christian nation. The surveys that have been done in recent times prove our general feelings valid. There is a rise in the number of irreligious folks, and atheism is even on the rise. We see things happening today which are directly opposed to Christian doctrine such as so-called gay marriage, abortions in mass numbers, government corruption, and more. These are signs of the times, and I think that Christians need to realize that the America we have now is not the America of old, and I don’t think we will ever see that America again. What does this mean for Christians? That is the question of our day! After all, the apostle commands in Phil 2:14-16, “Do all things without complaining and disputing, that you may become blameless and harmless, children of God without fault in the midst of a crooked and perverse generation, among whom you shine as lights in the world, holding fast the word of life.” Wow! Now that is a lofty task, isn’t it? Did you notice how not complaining and disputing is how we shine as lights in this world? The first part of my prayer is that we would stop complaining and moaning about the simplest of things. The second part of my prayer is that we would prepare for persecution. Did you know that the New Testament is all about persecution? Have you missed that part? The 27 books of the NT are filled with statements and section concerning the persecution of the church. Listen to some of these Scriptures. I am going to be flipping to them if you would like to flip as well, or maybe you would like to write the references down while listening. John 15:18-20. 1 John 3:13. Matt 5:10-12, 43-44. 2 Tim 3:1, 12. I do not mean to be a negative nelly or a doomsday prophet, but I think that the church in America is so out of tune with the NT because we have lived in relative harmony with the culture for so long, that when persecution comes (I think it will), we will be caught off guard, the church will be devastated, many will buckle under the pressure, and several will be lost. If you prepare for persecution and it does not come, what have you lost? Absolutely nothing. Background: Peter was writing to Christians (mainly Jewish) who were scattered through Asia Minor, which is modern day Turkey. These folks would have been driven out of cities like Jerusalem because of fierce persecution that came from orthodox Jews, and they would have been strangers in these other towns. What do people think of strangers? They are usually suspicious of them. These early Christians would have quickly been labeled as strangers, outsiders, and targets for attack because they did not worship the Roman gods and practice the pagan religions. Unbelievers viewed Christians as rebels who belonged to a secret society because they met early on Sunday mornings, often before daybreak (worship). Some even thought they were cannibals because they “ate flesh and drank blood” (Lord’s Supper). Christians are told to not consider persecution strange/surprising as though something strange/surprising is happening to them. This is Peter’s emphasis in this section, that we are to anticipate suffering. We should expect, be looking, anticipate, and be ready for it. Those who are anticipating suffering will not be caught off guard, and they will not stumble. Those who are anticipating suffering will prepare themselves and those around them for it. Those who are anticipating suffering will have a completely different view of the world. I think we need a war time mentality, not that we are warring against flesh and blood, but against the wiles of the devil. He is the one who fuels suffering and persecution. We must constantly be listening for the roar of that lion to come near, because he will come, and when he does we may not be caught off guard, but ready to defend ourselves. Peter calls the persecution to come a fiery trial. Fire is hot, and it is dangerous. Yet, fire is usually seen in the Bible as an agent of purification. Persecution works to refine believers like a fine metal. When you put a metal through the fire the impurities are burned away. When Christians go through suffering the sin, weaknesses, and impurities are done away with. This is a positive thing, but it is a painful thing. If someone is caught off guard by this fire, they may be consumed by it. Peter, the Apostles, and I do not want you to be caught off guard when the fire burns hot and bright. Peter started his letter with this very same theme. Look at 1 Pet 1:6-9. Because of this positive outlook on fiery trials as purifying, Peter is able to tell the believers to rejoice in their sufferings. Through suffering in this world we are able to commune with our suffering Christ. Our Lord Jesus Christ suffered great persecution, but on the other side of it was glory. He has gone before us as our Pioneer. We must follow Him through suffering to glory. There is fullness of joy in His presence, and we will soon experience it. There is future blessing for those who have suffered. Just as we have been baptized in the likeness of Christ’s death and resurrection, we also partake in His sufferings and will partake in His glory. This joy is not only in a glorious future, but it is also to be experienced now. Peter, alluding to Christ’s teaching, says, “If you are reproached for the name of Christ, blessed are you.” What does it mean to be blessed? What is blessed/happy/glad about enduring insults? When you are reproached for the name of Christ, that means that God’s favor and blessing are on you. You are His and He is yours, and there is nothing that can separate you from the love of God which is in Christ Jesus. We are already beginning to be glorified as the Spirit rests on us, and we will experience that glorification in full when Christ returns. Suffering as a Christian is blessed, but suffering as an evil doer is shameful. People suffer for all kinds of reasons. They are put to shame for a variety of things. A murderer is reproached by all. A thief is always shunned. Christians must not suffer because they are morally corrupt, but because of the name of Christ. There is a huge difference. Let me also say that Christians who bring hatred, reproach, and persecution upon themselves by picketing this and that and hurling insults at the world are not blessed by God. What does verse 14 say? “If you are reproached for the name of Christ.” What does verse 16 say? “Yet if anyone suffers as a Christian.” We should not pursue hatred or ridicule, yet so many Christians do. We must leave complaining, arguing, moral corruptness, evil, and nosiness behind. Instead, we should be preparing for real persecution, that is, persecution for the name of Christ. The term “Christian” is a very rare term in the New Testament. It is only used three times, if I have counted correctly. Two of those three times are within the context of mockery and suffering. King Agrippa said sarcastically to Paul, “You almost persuade me to become a Christian.” And here, Peter talks about how we suffer as those who bear the name of Christ. There is no shame in suffering as a Christian. 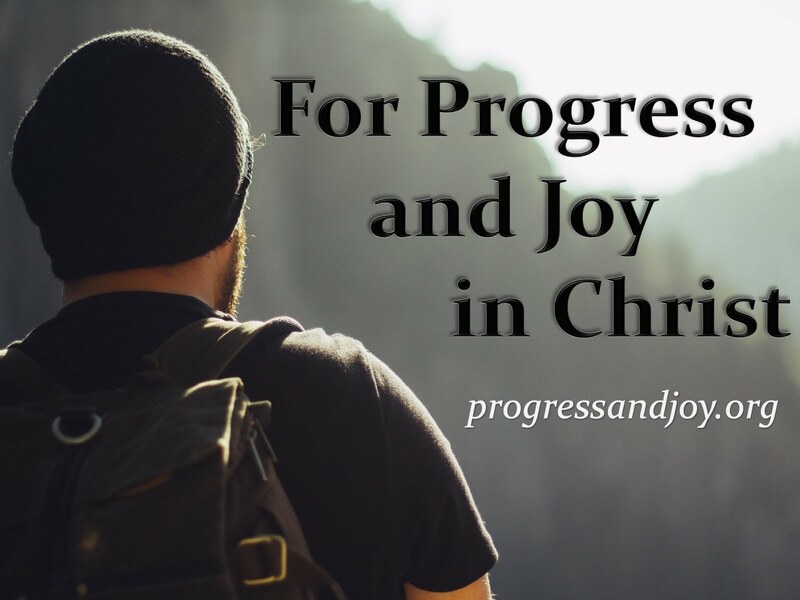 We glorify God when we do, but only if we survive it and do so with great joy. Consider this calm before the storm to be the mercy of God in which His people can learn as much as possible and prepare. Of course, all along we should be praying for mass conversions that in an instance God may turn this large ship we call America back in the right direction. Just after Peter wrote this, great persecution broke out against Christians starting in the emperor’s palace, in the city of Rome, and continuing throughout the Empire. Nero lit the capital city on fire in A.D. 64 in order to claim more property for himself and build an even larger palace. There was such an outrage because most citizens knew it was him that Nero diverted blame onto the Christians. They suffered greatly, and it was under this wave of persecution that the Apostle Paul was beheaded and the Apostle Peter was crucified upside down, both in Rome. *Peter wrote this to Christians who were being to suffer just before one of the greatest waves of persecution came. Do you see God’s sovereignty in this history? He wants you to be prepared too! (1) Speak out against the health, wealthy, and prosperity preachers who export from America a gospel which says, “Commit to Christ and He will give you great riches and your life will be wonderful.” This is no gospel at all. It is lies from the pit of Hell. It is not true. The Bible never teaches it. (2) Hatred from the world is NOT fair, and NO Christian deserves persecution simply because they are a follower of Christ, but we should expect persecution/hatred/suffering and prepare for it. (3) If you are a young Christian, find some mature Christians to learn from. Some can teach you about prayer, some Bible study, others how to deal with struggles like cancer, some evangelism, and other things. If you are an older, more mature Christian, please look for younger Christians to mentor. We have got to prepare one another and seek preparation. We have to get through this life together.